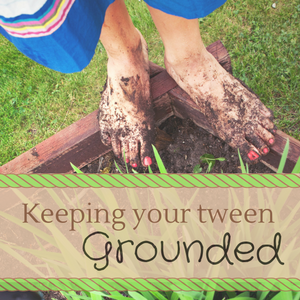 Welcome to Day 26 of the Grounded Series! I see you over there, trying both to hide and to be seen. It’s hard, isn’t it, figuring out where you belong? I remember being about your age and moving to a new school just two weeks before Christmas break. Walking into unfamiliar territory and wondering if anyone would speak to me, if I’d fit it, if I was dressed right, if I’d know any of the answers to the teacher’s questions. Terrified of being alone and left out — but equally nervous about knowing what to say if someone did speak to me. These years you’re in, this “tween” season, it’s hard — new school or not! In fact, I bet you’ve had all those same fears and doubts I had that cold December day in 1984. Can I tell you a big secret? Everyone feels that way sometimes! Everyone. Even those girls who seem to have it all together wonder if they are really liked. 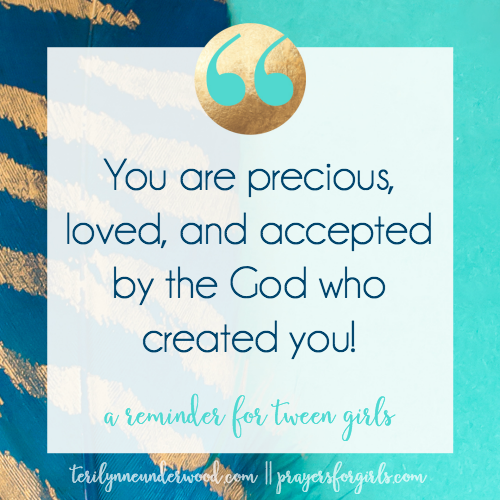 You are precious, loved, and accepted by the God who created you! Believe that, lean into that, trust that! How do I know? Because He said it in His Word. I am created and formed by Him. I have no reason to fear. He has redeemed me and called me by name. I AM HIS! He is with me, even in the worst days. He protects me. I am PRECIOUS, HONORED, and LOVED. This is TRUTH. And for you, my young friend, the exact same things are true!! If I could, I’d grab your hand and pray with you right now. Since we aren’t sitting together, though, I’ll write it out and maybe you can save it and read it at other times when you are feeling uncertain, unaccepted, unseen. Jesus, You are so good to us. You see us and You know us. You call us by name. 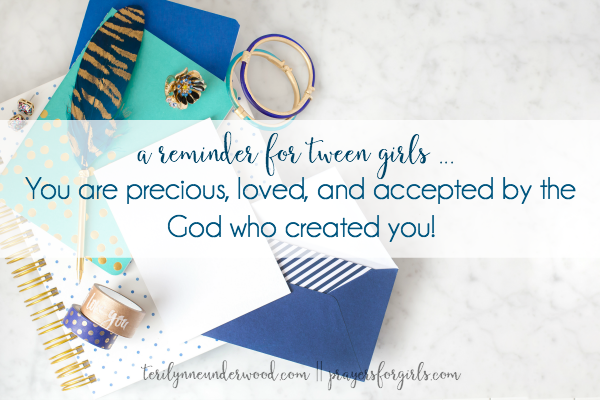 So right now, will You remind my sweet friend she is dearly loved! Remind her of Your acceptance when she feels rejected. Remind her how carefully You formed her when she feels like she isn’t enough. Remind her how much worth she has in You when the world around her tries to convince her she’s worthless. When she’s afraid or intimidated, remind her in You she has no reason to fear. Help her remember You are always with her, even on the worst days. Help her see the ways You are working for her good, working to protect her and provide for her. Lord, I pray she will believe the truth of Your Word and walk in the freedom and confidence that she is precious, honored, and loved by You. Thank You for her and for what she is going to do for Your kingdom. In Your holy and beautiful name we pray, Amen. Love this!! 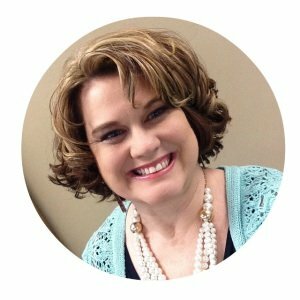 I would love for my daughter to subscribe. In a world that often brings hard things our way and makes us question our identity, it’s great to find space and encouragement to see what God thinks of us so we can thrive. Thank you Megan. Keep thriving by resting in His truth and love for you!